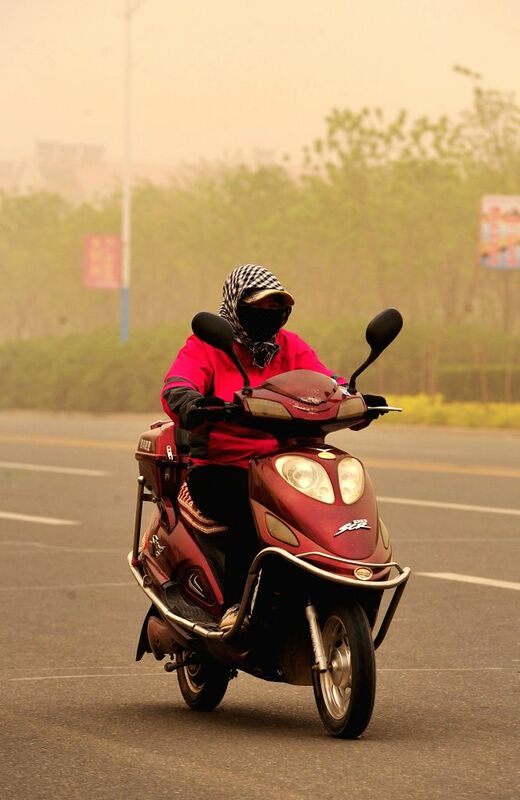 YINCHUAN, April 24, 2014 - A woman rides in sandstorm in Zhongwei City, northwest China's Ningxia Hui Autonomous Region, April 24, 2014. 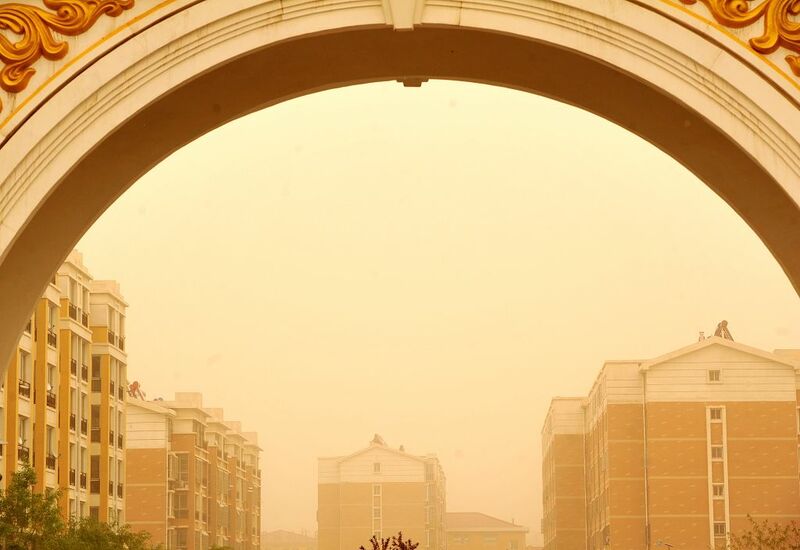 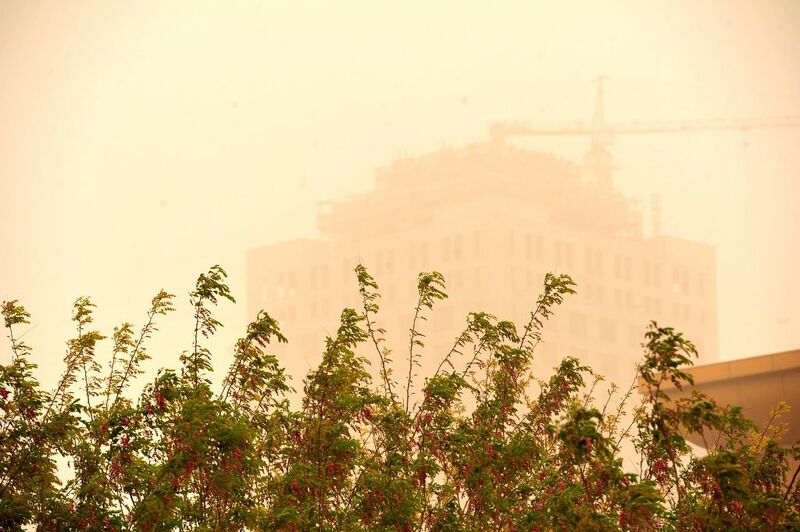 Parts of Ningxia was hit by a sandstorm Thursday morning, which will reduce visibility to less than 1,000 meters. 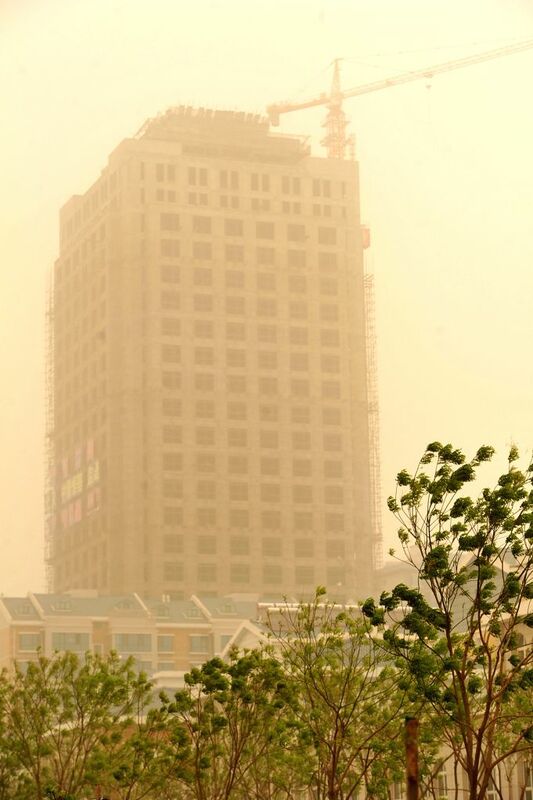 Photo taken on April 24, 2014 shows buildings in sandstorm in Zhongwei City, northwest China's Ningxia Hui Autonomous Region.